It’s been a few months since we’ve seen new stuff from Her Universe, but as luck may have it, they’ve just released some new items in time for the change of seasons and Halloween! 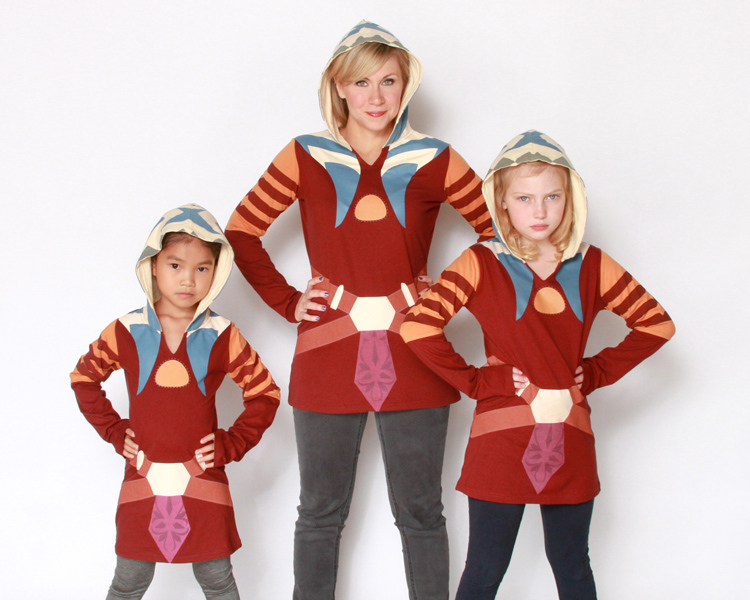 First of all, for those of you who loved the Ahsoka Tunic Top,but were disappointed that it only came in youth sizes, your pleas have been heard because it’s now being offered in adult sizes! 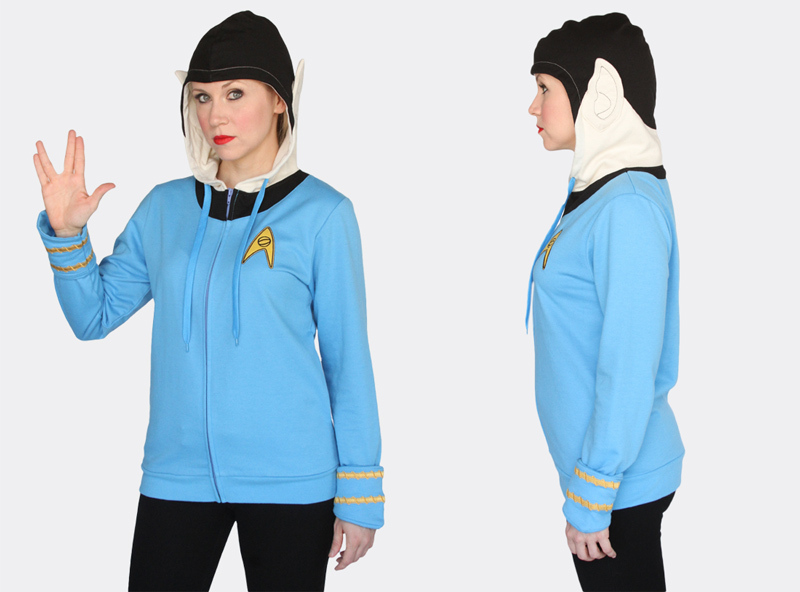 If your more of a fan of that other “Star” franchise, check out the new Spock Hoodie. It seems a logical choice to combat the cool weather. Looking for a quick and simple costume, or just want to show your Dr. Who love? 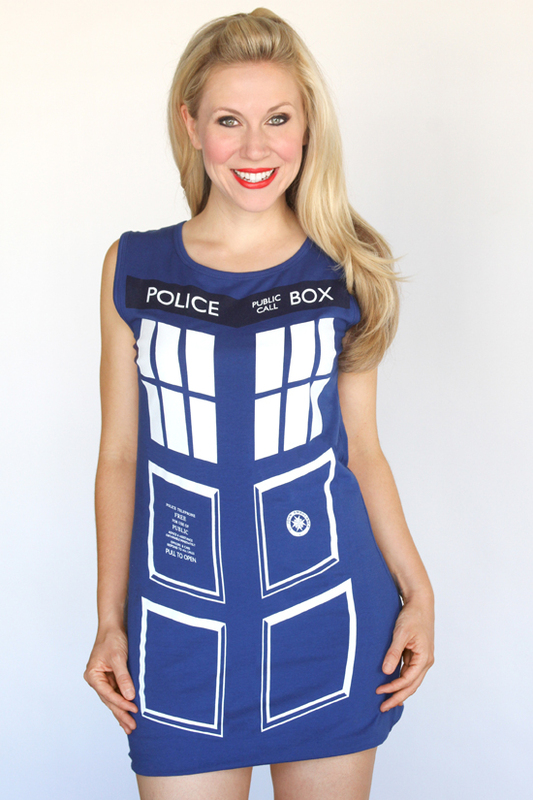 Her Universe has paired with Hot Topic to offer this exclusive Tardis Tunic Dress. Personally, I think layering it with a pair of leggings and a structured jacket would look great and very geek chic. 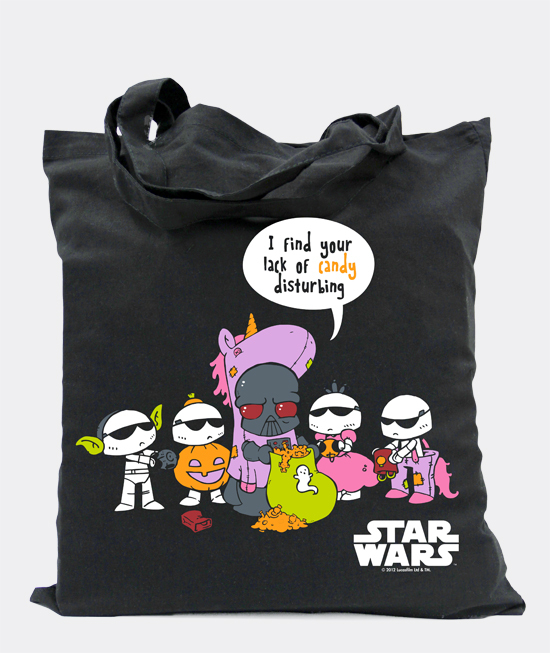 Lastly, you can nab this great Halloween tote for your padawan. Or, maybe just fill it up with your own favorite treats. Renowned artist Katie Cook returns as the illustrator for this year’s Halloween tote. As with last year, the totes are limited, so make sure you get one while you can! If you’ve been holding off on ordering something from Her Universe, now is the perfect time to buy as they’re offering free shipping on orders of $50 or more until October 22nd. This is the perfect time to get an early start on your holiday shopping!